Hear about differentiated blended learning from the superintendent of Utica Community Schools. In the Fall of 2012, Utica Community Schools decided to transform how students learn starting on their first day of elementary school. Two years later, the district’s bold plan continues to yield exceptional results. Watch this live webinar with UCS Superintendent, Dr. Christine Johns, as she invites administrators and educators to tune in and hear how her Michigan district implemented and expanded a blended learning program to differentiate classroom instruction and increase college readiness. 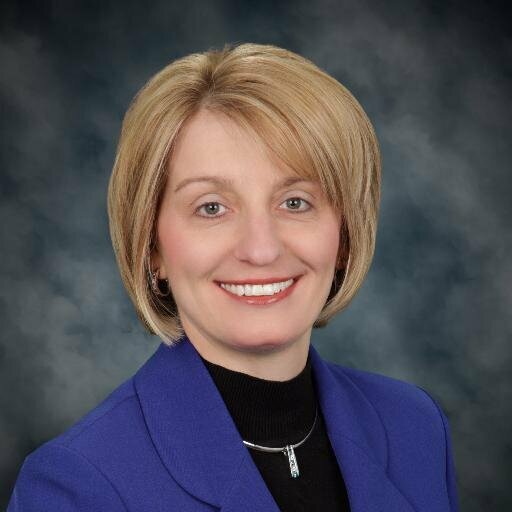 Dr. Christine Johns is superintendent of Utica Community Schools, Michigan’s second largest school district. Under her leadership, the district has earned a national reputation for its innovative use of technology to personalize instruction. Dr. Johns is a member of the Digital Promise League of Innovative Schools and previously served as Deputy Superintendent for curriculum and instruction for Baltimore County Schools (MD). She holds a bachelor’s degree from the University of Pittsburgh, a master’s degree from Johns Hopkins University, and both a master’s and doctorate degrees in educational administration from Harvard University.